We are collecting school supplies of all types! Large backpacks, Notebooks, 24 count Crayons, Pencils and pouches, Scissors, Flash Drives, 3-ring binders to name a few! 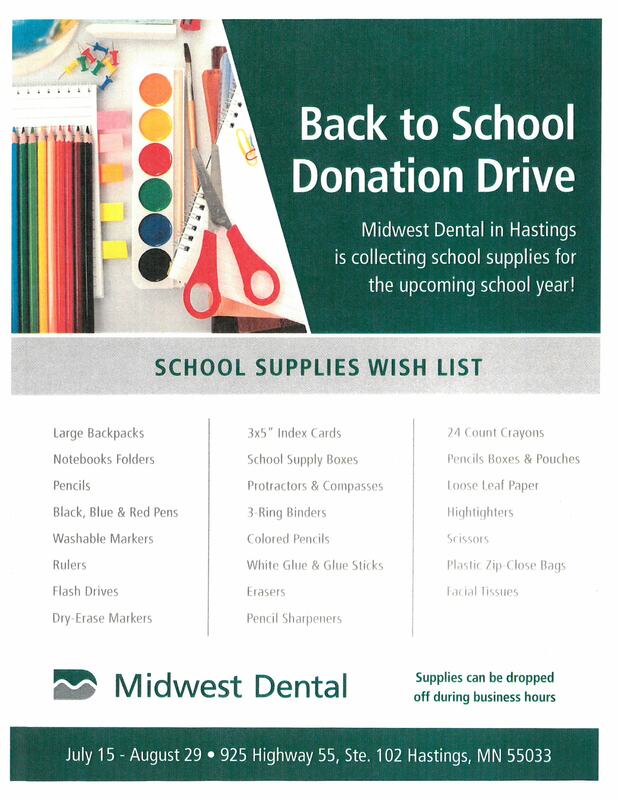 Any supplies to help our kids get off to a great start to their school year! Donations can be drpped off during business hours.